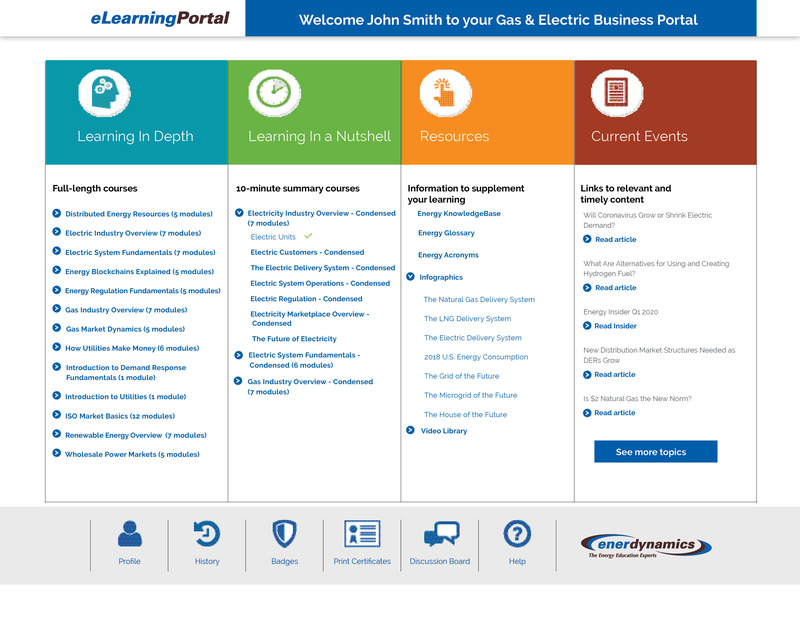 The Electric/Gas Industry (comprehensive version) eLearningPortal contains the learning opportunities shown below. This portal includes our entire online curriculum. Note that for group sales, a customized version of this product is available.